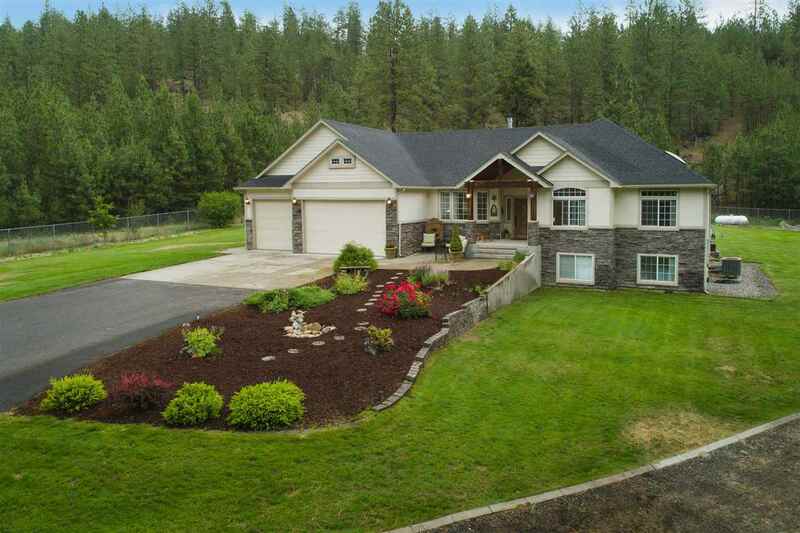 14324 N River Park Ln, Nine Mile Falls, WA.| MLS# 201911437 | Cooper Realty Services (509) 599-1111 | Spokane WA Real Estate | Contact us to request more information about our Homes for Sale in the Spokane WA area. Missed your opportunity to purchase the home of your dreams? Here is your second chance, look no further than this beautiful craftsman rancher on 10 acres only 20 minutes to downtown. Bordering the Little Spokane River Natural Area, fishing, hiking, floating right out your backdoor! Open floor plan, vaulted ceilings, covered deck, granite, hardwood floors, fully finished basement, 5BR, 4BA, 3 car garage, the list goes on. For your toys the finished & insulated 30x48 shop awaits. Your search may be over!